BREMEN, Germany — A SpaceX executive said Oct. 3 that the company’s first commercial crew test flight could be delayed until early 2019 because of paperwork issues. In a speech at the 69th International Astronautical Congress here, Hans Koenigsmann, vice president of build and flight reliability for SpaceX, said launching an uncrewed test flight before the end of the year will be a “close call” even though the hardware itself should be ready. 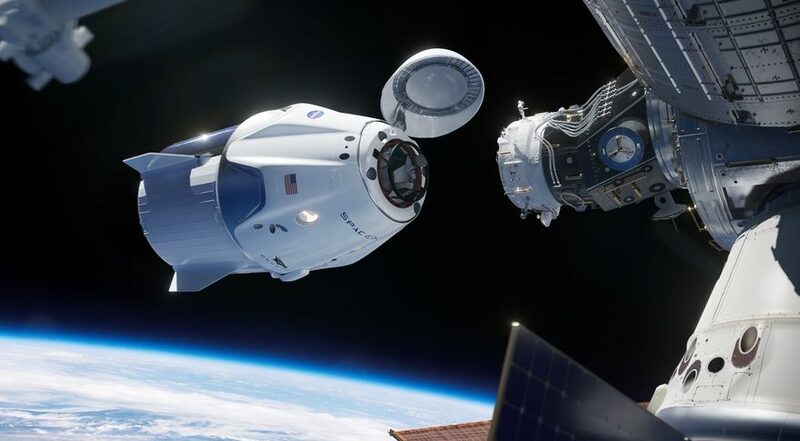 When NASA announced revised commercial crew test flight schedules in early August, SpaceX planned to launch an uncrewed flight of its Crew Dragon vehicle in November, followed by a crewed test flight in April 2019. Those dates represented the latest in a series of delays experienced by both SpaceX and Boeing, the other company with a NASA commercial crew contract, in recent years. However, during a Sept. 17 presentation about SpaceX’s plans to fly its much larger Big Falcon Rocket on a trip around the moon, company founder and chief executive Elon Musk suggested that the schedule has already slipped again. The revised Boeing schedule announced in early August called for an uncrewed flight of its CST-100 Starliner late this year or early next year followed by a crewed test flight in the middle of 2019. “That’s exactly where we are,” said Chris Ferguson, crew and mission operations director for the Starliner program at Boeing, during an Oct. 2 briefing here. He declined, though, to say when Boeing would provide more specific dates for those missions, noting he has been in flight training. NASA announced Aug. 3 that Ferguson, a former NASA astronaut, would be on the crewed Starliner test flight, along with NASA astronauts Eric Boe and Nicole Aunapu Mann. That training, he said later, has included both that related to flying the Starliner spacecraft as well as training related to the International Space Station. The latter is needed should NASA decide to extend the crewed flight test from its original duration of about two weeks to as long as six months, as a contingency in the event further commercial crew delays jeopardize access to the ISS, as NASA’s use of Soyuz seats will end in early 2020. “The lion’s share of what we’re doing right now is preparing some of the non-perishable training, putting some of that under our belts,” he said. That includes medical and “light ISS systems work” as well as, for Boe and Mann, spacewalk training.